(JTA) – Americans have heard a lot about Merrick Garland since President Barack Obama nominated him to fill the vacant seat on the Supreme Court. But there’s a lot we still don’t know. What are his views on abortion? Will the Republican leadership give him a hearing in the Senate? What was his bar mitzvah Torah portion? Garland may have an extensive judicial record – he has more federal judicial experience (19 years) than any other Supreme Court nominee in history, according to the White House – but far less is known about Garland’s Jewish bona fides. He is proud of his family’s Jewish immigrant story – enough so to cite it in his speech at the announcement of his nomination Wednesday in the White House Rose Garden. His father, Cyril Garland, was born in Omaha, Nebraska, but hailed from a Latvian Jewish immigrant family. He ran an advertising business out of the family home and died in 2000. Garland’s mother, Shirley Garland, still lives in the Chicago area and at one point served as director of volunteer services at the Council for Jewish Elderly in Chicago. Garland was raised in Lincolnwood, a heavily Jewish suburb of Chicago, and had his bar mitzvah at a Conservative synagogue. Garland has credited his parents with instilling in him the desire for public service. “His Jewish tradition is one of service,” Jamie Gorelick, who went to college with Garland and worked closely with him in the Justice Department, told The New York Times. Gorelick was the U.S. deputy attorney general from 1994 to 1997. At Niles West High School in Skokie, Illinois, Garland served as student council president, acted in theatrical plays and was voted “most intelligent” boy in the class of 1970, the Times reported. When Garland started as an undergraduate at Harvard University, where he was on scholarship, he thought he wanted to be a doctor and initially entered a pre-med track. But he quickly changed focus and settled on another respectable Jewish path: lawyer. After graduating Harvard College, he went on to Harvard Law School. Garland’s wife, Lynn Rosenman, is a fellow Jewish Harvard graduate who hails from a distinguished family. Her grandfather, Samuel Rosenman of New York, was a state Supreme Court justice and a special counsel to two presidents: Franklin Roosevelt and Harry Truman. Garland and his wife met at a rehearsal dinner where they were seated together. They married in 1987 in a Jewish ceremony at the Harvard Club in New York presided over by a Reform rabbi, Charles Lippman. The couple settled in the Washington, D.C. area and there raised two daughters, both now in their 20s. Garland and his wife live in Bethesda, Maryland, and are members of Temple Sinai, a 1,100-member Reform congregation in the capital led by Rabbi Jonathan Roos. Both the Garland daughters, Rebecca and Jessica, reportedly had their bat mitzvahs there. The Garlands have hosted some distinguished guests for their Passover Seders. In 1996, then-U.S. Attorney General Janet Reno was a Seder guest. She and Garland had to step away from the table at one point to take a phone call regarding the investigation into Ted Kaczynski, the so-called Unabomber, who was arrested on Passover eve. Garland oversaw Kaczynski’s prosecution. Garland also has hosted Easter egg hunts – part of an annual potluck breakfast he holds for his former clerks and their spouses and children, according to the Washington Post. The judge has worked in a variety of roles since moving to Washington, D.C., in the 1970s. He started as a court clerk at the U.S. Court of Appeals and the Supreme Court before joining the law firm Arnold & Porter. After just a few years, Garland gravitated toward government work, first working as an assistant U.S. attorney and later as a deputy assistant attorney general in the criminal division of the U.S. Department of Justice. President Bill Clinton nominated Garland to be a U.S. circuit court judge in 1995, but the Republican-controlled Senate dragged its feet on confirming him. After Clinton won reelection in 1996 he renominated Garland, and the judge was confirmed in March 1997 by a 76-23 vote in the Senate. Jay Michaelson, a rabbi and columnist for The Daily Beast and The Jewish Daily Forward who clerked for Garland on the Appeals Court in the late 1990s, said Garland’s Jewish identity is typical of that of many American Jews. READ: Supreme Court nominee Merrick Garland is Jewish. Here’s how Jews are reacting. Michaelson remembered talking with the judge about needing to take off four days for Sukkot and Simchat Torah. The two had a joking exchange about it, and Garland of course gave him the days off, Michaelson said. The White House released a three-minute biographical video on Garland this week. The two elements of Garland’s biography that have generated the most attention since Obama nominated him to the Supreme Court have nothing to do with his Jewishness. One is that he’s a relative moderate compared to other potential jurists a Democratic president could have nominated. The other is that he is 63 – relatively old by Supreme Court nominee standards. That makes it less likely he will serve a long term on the court. Both elements are being seen as concessions to make Obama’s pick more palatable to Senate Republicans – or at least make it harder for them to refuse him a hearing. So far, the Republican leadership has vowed not to bring Garland’s nomination to a vote before the November presidential election. 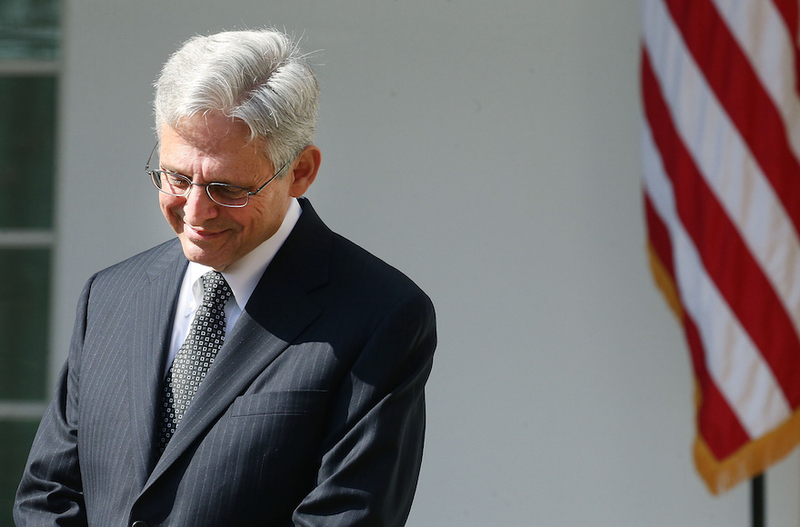 If confirmed, Garland would be the court’s ninth-ever Jewish judge. “We’re on the one hand super proud that we have a Reform Jew who is being nominated to the Supreme Court. It’s a wonderful affirmation of this jurist,” said Rabbi Jonah Pesner, director of the Religious Action Center of Reform Judaism.